Last Friday January 11th, Buffalo Field campaign represented wild buffalo at the Public Lands Rally at the Montana state capitol in Helena, Montana. It was exciting to see upwards of 700 people in attendance at this important event in support of Montana’s public lands. In a state that contains over 90 million acres of public lands it is understandable that the residents would be concerned about their use. 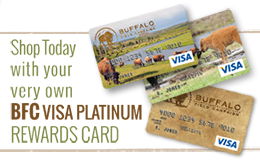 BFC has long advocated for buffalo to have access to public lands. If allowed access to these lands wild buffalo would have the habitat they need to expand beyond the borders of Yellowstone National Park, and reestablish themselves in the state of Montana. Recently the United States Forest Service denied BFC’s petition to have wild buffalo listed as a Species of Conservation Concern in the revised Custer Gallatin National Forest plan. Despite the fact that bison are not currently found on Custer Gallatin National Forest lands year round, the USFS decided to list them as having a distinctive role and contribution designation. Buffalo Field Campaign will continue to advocate for them to be recognized as a Species of Conservation Concern (PDF). Our presence was very well received. BFCers passed out over 300 newsletters and connected with many organizations and individuals who welcomed our efforts to advocate for wild buffalo on public lands. 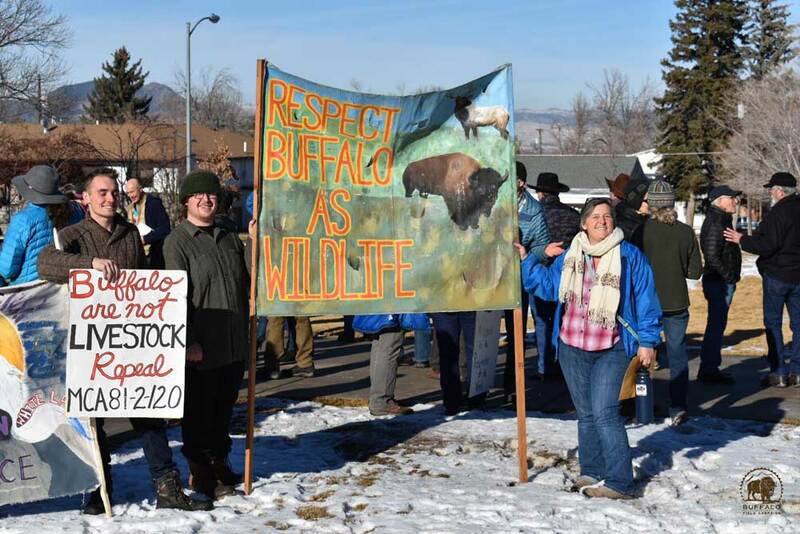 BFC volunteers created a wonderful banner in support of repealing MCA 81-2-120, a misguided Montana state law that classifies wild buffalo as a species in need of disease control, and wrongfully places control of them in the hands of Montana’s Department of Livestock. 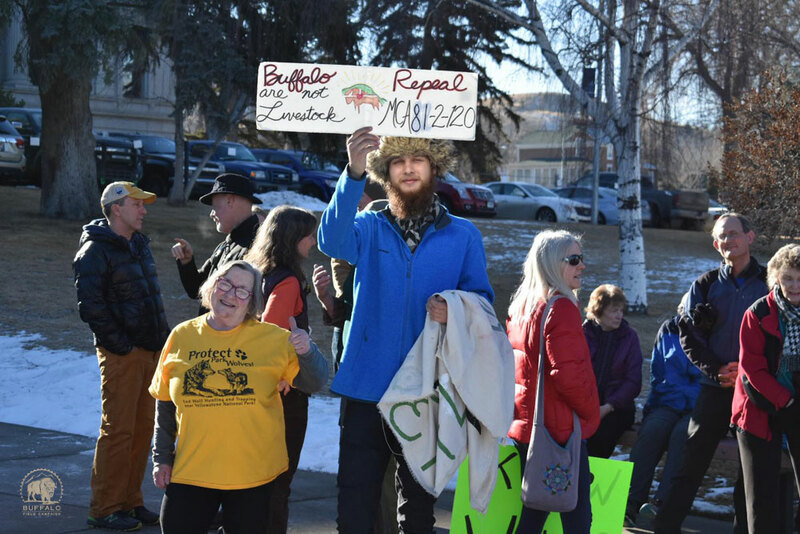 The best and most exciting part of the trip was the news that a bill will be introduced in the Montana state legislature during this legislative session to repeal MCA 81-2-120. We are reaching out to the legislator who is introducing this bill and offering our assistance. Please educate yourself and contact the Montana state legislature to show your support for wild buffalo on public lands. Thank you for all do you do for wild buffalo. Together we can remove the barriers so buffalo once again roam free!